Through December 8 – Gingerbread Competition Entry Submission at Hickory Knob State Resort Park in McCormick. Bring out your edible creation with categories including traditional, camper, and a SC Park scene or cabin, with prized to three different age group categories which will be awarded on the 15th. 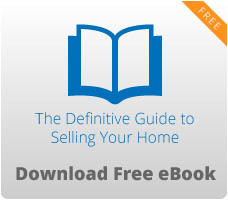 For more information call (864) 391-2450 or visit https://southcarolinaparks.com/products/10004814. Through December 9 – “The Best Christmas Pageant Ever” at the Gunter Theatre in Greenville. No Christmas holiday is complete without this wonderful and entertaining holiday classic put on by the South Carolina Children’s Theatre. For more information call (864) 467-3000 or visit https://www.peacecenter.org/events/detail/the-best-christmas-pageant-ever-1. Through December 9 – “Seussified Christmas Carol” at the Clemson Little Theatre in Clemson. This unimaginable tale, that might have been created by Dr. Seuss had he had the chance, will certainly entertain you like no play you’ve ever seen before! For more information call (864) 646-8100 or visit http://www.clemsonlittletheatre.com/season.htm. Through December 15 – “A Laura Ingles Wilder Christmas” at the Abbeville Opera House in Abbeville. Spend some time taking a trip back to “Little House on the Prairie” with classic music which you are sure to enjoy as a family! For more information call (864) 366-2157 or visit http://www.theabbevilleoperahouse.com/Shows. Through December 16 – “Forever Plaid Tidings” at the Pelzer Auditorium in Pelzer. Having been brought back from Heaven after a heavenly call from Rosemary Clooney informs them they are needed to “put a little harmony in a discordant world” so you’ll certainly want to try to catch this wonderfully entertaining and inspirational show! For more information call (864) 947-8000 or visit http://www.milltownplayers.org/. Through December 16 – “Elf The Musical, Jr.” at the Foothills Playhouse in Easley. This production based on the holiday film will take you on the journey of Buddy the Elf as he tried to learn his true identity, so come out and support the children who have worked hard to put this on! For more information call (864) 855-1817 or visit https://www.foothillsplayhouse.org/tickets. Through December 16 – “Hamilton” at the Peace Center Concert Hall in Greenville. This amazing Broadway hit musical and Tony Award winning production has finally made its way to South Carolina, so you won’t want to miss the show! For more information call (864) 467-3000 or visit https://tickets.peacecenter.org/Hamilton/Online/. Through January 21, 2019 – Skating on the Big Ice at the Bon Secours Wellness Arena in Greenville. Here is a chance to skate in the big arena, so bring the kids or the entire family out for a memory creating experience! For more information call (864) 241-3800 or visit http://www.bonsecoursarena.com/events/detail/skating-on-the-big-ice-2. December 5 – Peace Talks: Hamilton at the Huguenot Mill in Greenville. Open only to ticket holders of the show, you’ll enjoy a chance to learn about the history, inspiration, and people that bring the story to life on the stage. For more information call (864) 467-3000 or visit https://www.peacecenter.org/events/detail/peace-talk-hamilton. December 5 – 19 – Writing Workshop with Vera Gomez at the Huguenot Mill Conference Room in Greenville. Here is a chance for adults to learn the art of bringing your own story to life through poetry. For more information call (864) 467-3000 or visit https://www.peacecenter.org/events/detail/writing-workshop-3. December 6 – 9 – “A Charlie Brown Christmas” at the Greenwood Community Theatre in Greenwood. No Christmas is complete without seeing this show on television, but it’s a special treat to see it live! For more information call (864) 388-7800 or visit http://www.emeraldtriangle.us/Home/Components/Calendar/Event/7772/131. December 6 – 15 – “Every Christmas Story Ever Told (And Then Some)” at the Chapman Cultural Theatre in Spartanburg. In this production, three actors will take you on a journey through every Christmas story ever told, plus Christmas traditions around the world, seasonal icons from ancient times to current pop culture, and many historical and modern holiday classics! For more information call (864) 585-8278 or visit https://www.eventbrite.com/e/every-christmas-story-ever-told-and-then-some-tickets-51295315670. December 6 – 22 – “Laughing All The Way” at the Center Stage Theatre in Greenville. Enjoy this Christmas variety show filled with hilarious Christmas sketches, wonderful dancing, and timeless classic and sacred holiday tunes that will certainly get you in the holiday spirit! For more information call (864) 233-6733 or visit https://centrestage.org/laughing-all-the-way/. December 6 – 22 – Christmas “Inn” Our Town in downtown Fountain Inn. Enjoy a visit to the holiday events that will include carriage rides, carolers, kids activities, crafts and vendors, food, and of course Santa! For more information call (864) 724-8044 or visit https://www.fountaininnevents.com/christmas-inn-our-town. December 6 – 23 – “Christmas On The Rocks” at the Warehouse Theatre in Greenville. Your favorite children from the holiday classics are now grown up and after getting a “little tipsy” share about their lives since we last saw them to include Charlie Brown, Tiny Tim, and Ralphie to name a few, so come out and enjoy what is sure to be a fun and entertaining show! For more information call (864) 235-6948 or visit https://warehousetheatre.com/christmas-rocks-2/. 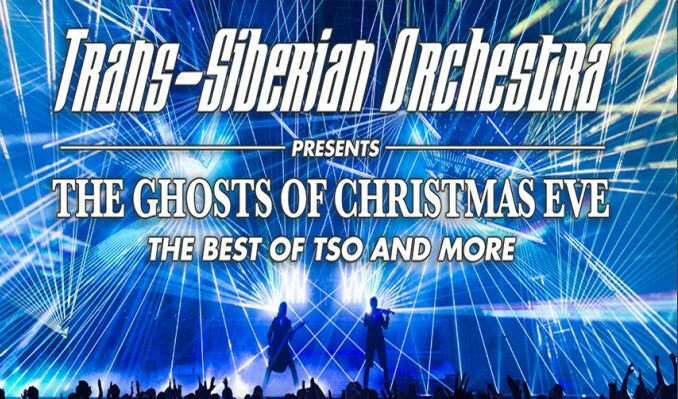 December 7 – “Trans Siberian Orchestra: Ghosts of Christmas Eve” at the Bon Secours Wellness Arena in Greenville. This is certainly at the top of everyone’s favorite holiday shows, so make plans now to attend! For more information call (864) 241-3800 or visit http://www.bonsecoursarena.com/events/detail/trans-siberian-orchestra-1. December 7 – 9 – Living Christmas Story at Next School Eagle Ridge in Salem. This free drive through event will be one of those events that provides you a connection to the true meaning of Christmas so you won’t want to miss it! For more information visit https://cdn.shopify.com/s/files/1/0875/9166/files/Living_Christmas_Story_JPG.jpg?7418153147006836953. December 7 – 9 – “The Nutcracker” at the Twichell Auditorium at Converse College in Spartanburg. The Spartanburg Ballet will present you with an evening of wonderful holiday joy and entertainment! For more information call (864) 542-2787 or visit https://www.chapmanculturalcenter.org/pages/calendar/detail/event/c/e2093/. December 7 – 16 – “A Christmas Carol: A Radio Play” at the Electric City Playhouse in Anderson. Spend an evening enjoying what has been dubbed as the closest thing to the classic rendition of the Dicken’s traditional tale done by Orson Wells and feel free to dress up in 1930’s attire just for the event. For more information call (864) 224-4248 or visit https://ecplayhouse.com/tickets/. December 8 – “Guy Penrod Christmas and More” at the Walhalla Performing Arts Center in Walhalla. You will surely enjoy a show filled with inspiration by this tremendous artist performing holiday songs and more! For more information call (864) 638-5277 or visit https://www.walhallapac.com/. December 8 – “Doyle Lawson and Quicksilver” at the Chapman Cultural Center in Spartanburg. Spend an evening enjoy this “mandolin virtuoso” who are 7 time winners of the International Bluegrass Music Association Vocal Group of the Year! For more information call (864) 542-2787 or visit https://www.chapmanculturalcenter.org/pages/calendar/detail/event/c1/e2189/&DateOfEvent=12/08/2018. December 8 – Big-Time Wrestling at the Spartanburg Memorial Auditorium in Spartanburg. You’ll have the chance to see legend, Mike Foley, as well as Mark Henry and Jack Swagger. For more information call (864) 582-8107 or visit https://www.crowdpleaser.com/calendar/181/Big+Time+Wrestling. December 14 – Holiday Grande at the Chapman Cultural Center in Spartanburg. Presented by the Spartanburg Philharmonic, you’ll enjoy wonderful sounds of the holidays! For more information call (864) 582-7616 or visit https://www.spartanburgphilharmonic.org/events/2018/12/14/holiday-grande. December 14 – 15 – “The Littlest Christmas Angel” at the Salvation Army Kroc Center in Greenville. You’ll enjoy a show filled with joy as you experience the fun of the connection between childhood and Christmas. For more information call (864) 235-2885 or visit https://scchildrenstheatre.org/shop/the-littlest-angel/. December 15 – 16 – Winter Dance Performance at the Gunter Theatre in Greenville. This will be a show filled with classical ballet, modern, and contemporary dance from some of the most talented students in the State so come out and enjoy their show! For more information call (864) 467-3000 or visit https://www.peacecenter.org/events/detail/gov-school-2. December 15 – 18 – “A Charlie Brown Christmas” at the Spartanburg Auditorium in Spartanburg. This favorite holiday classic story that has Charlie Brown discouraged about the materialism of the season will help you to remember the real reason for the holiday season. For more information call (864) 582-8107 or visit https://www.crowdpleaser.com/calendar/224/A+Charlie+Brown+Christmas. December 18 – “A Christmas Carol ON AIR” at the Center Stage Theatre in Greenville. Before television was a normal part of everyone’s home, the initial productions were done on the radio, so enjoy a walk down memory lane as you enjoy the show and recall Christmas’s from long ago. For more information call (864) 233-6733 or visit https://centrestage.org/christmas-carol-on-air/. December 18 – “Christmas with the Chorale: Handel’s Messiah” at the McAlister Auditorium of Furman University in Greenville. The Greenville Chorale will serenade you with this beautiful favorite and well known works by Handel. For more information call (864) 467-3000 or visit https://www.peacecenter.org/events/detail/christmas-with-the-chorale-handels-messiah. Through December 10 – “12 Days of Christmas” in downtown Camden. The last days of the season will be filled with a tree lighting, shopping opportunities, a tour of homes, a parade, and more! For more information call (803) 425-6631 or visit https://www.cityofcamden.org/events/downtown-camdens-12-days-christmas. Through December 13 – “A Stranger for Christmas” at the Narroway Theater in Fort Mill. You are certain to enjoy this enjoyable and even hilarious tale based on the classic book written by Carol Lynn Pearson of a little old lady taken in for the holidays. For more information call (803) 802-2300 or visit https://narroway.net/weekday-shows/weekday-christmas-shows. December 6 – “Christmas with the Letterman” at the Newberry Opera House in Newberry. Spend an evening with these wonderfully talented artists singing many of your classic holiday favorites! For more information call (803) 276-6264 or visit https://www.newberryoperahouse.com/shows-and-events.html?show_name=christmas-with-the-lettermen. December 7 – “Craig Morgan” at the Bundy Auditorium of USC Lancaster in Lancaster. You are sure to enjoy a great show with this country music star with 25 billboard hits! For more information call (803) 289-1486 or visit https://app.arts-people.com/index.php?ticketing=pas. December 7 – “Jingle All The Way” at the Newberry Opera House in Newberry. You’ll enjoy an evening with this Rockettes inspired local group, Carolina Freestyle, as they present their holiday performance just for you! For more information call (803) 276-6264 or visit https://www.newberryoperahouse.com/shows-and-events.html?show_name=jingle-all-the-way. December 7 – “Christmas in Dixie” at the Sylvia Theater in York. This fund raising event includes local performers with coat donations accepted and proceeds benefiting local foster children. For more information call (803) 684-5590 or visit https://sylviatheatre.com/. December 7 – 15 – “Miracle on 34th Street” at the Aiken Community Theatre in Aiken. You will certainly enjoy this local performance of this classic holiday show! For more information call (803) 648-1438 or visit https://aikencommunitytheatre.org/shows-1/2018/12/7/miracle-on-34th-street. December 7 – 16 – “Annie” at the Rock Hill Theatre in Rock Hill. You’ll want to bring out the entire family to enjoy this wonderful classic production! For more information call (803) 376-7428 or visit http://www.rockhilltheatre.org/. December 8 – Christmas Candlelight Tours at Historic Brattonsville in McConnells. Meet costumed interpreters who will tell you about Christmas’s of the 18th and 19th Centuries on this historic plantation with music, stories, camp fires, dancing, and demonstrations! For more information call (803) 818-6767 or visit http://chmuseums.org/upcoming-events-hb/. December 8 – “Classic Nashville Roadshow” at the Newberry Opera House in Newberry. Join Jason Petty and his Classic Nashville Show to create an amazing country holiday show filled with songs and stories! For more information call (803) 276-6264 or visit https://www.newberryoperahouse.com/shows-and-events.html?show_name=classic-nashville-roadshow. December 8 – Christmas Tour of Home at a number of locations in Newberry. This holiday favorite event will allow you to tour four elegant homes decorated for the holidays on this self-guided tour and a chance to enjoy a cheese and wine reception in the downtown area. For more information call (803) 276-6264 or visit https://www.newberryoperahouse.com/shows-and-events.html?show_name=christmas-tour-of-homes. December 8 – “Kyle Dills Band Live” at the Sylvia Theater in York. Spend an evening enjoying some local country music with these talented musicians! For more information call (803) 684-5590 or visit https://sylviatheatre.com/. December 8 – 9 – Christmas in Olde York Tour of Historic Homes at a variety of homes and site in York. You’ll have a chance to tour some of the most wonderful historic homes, churches, and business decorated beautifully for the holiday season. For more information call (803) 684-2590 or visit http://yorkvillehs.com/v2/events/christmas-in-olde-york-2018/. December 9 – “Big Band: Wynton Marsalis” at the Newberry Opera House in Newberry. Spend an evening with this acclaimed musician and composer and The Jazz at Lincoln Center Orchestra for Big Band Holidays with what is sure to be an absolutely amazing holiday show! For more information call (803) 276-6264 or visit https://www.newberryoperahouse.com/shows-and-events.html?show_name=big-band-wynton-marsalis. December 9 – Film Fest at the Sylvia Theater in York. Spend the day viewing local, regional and even international short films. For more information call (803) 684-5590 or visit https://sylviatheatre.com/. December 9 – “The Fabulous Equinox Orchestra” at the Sumter Opera House in Sumter. Spend an evening enjoying great entertainment with this fabulous artist with a touch of jazz, Motown, country, and more! For more information call (803) 436-2500 or visit https://www.sumtersc.gov/event/fabulous-equinox-orchestra-holiday-concert. December 12 – “Asleep at the Wheel” at the Newberry Opera House in Newberry. You’ll enjoy an evening of Texas-style holiday country music! For more information call (803) 276-6264 or visit https://www.newberryoperahouse.com/shows-and-events.html?show_name=asleep-at-the-wheel. December 12 – “The Nativity Set” at the Narroway Theatre in Fort Mill. You’ll enjoy a 50 minute show about how a life sized nativity set that was donated to the church 50 years ago in hopes of breathing new life into the church has made a vast difference. For more information call (803) 802-2300 or visit https://narroway.net/weekday-shows/weekday-christmas-shows. 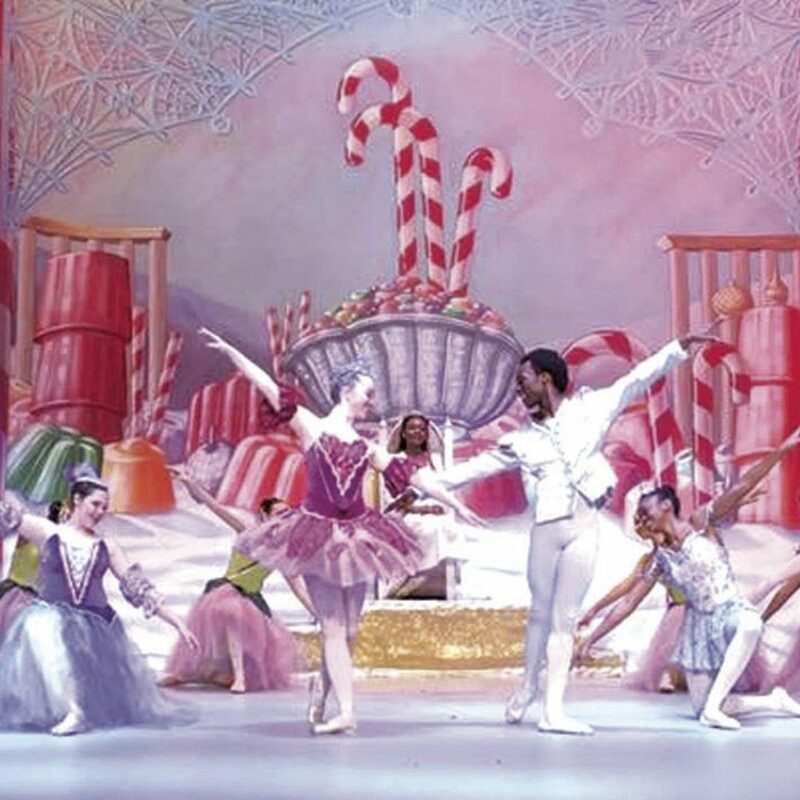 December 12 – 13 – “The Nutcracker” at the Martin Luther King Auditorium of the South Carolina State University in Orangeburg. Presented by the Orangeburg Civic Ballet, here is yet another opportunity to enjoy this favorite holiday classic ballet! For more information call (803) 533-0017 or visit https://www.orangeburgcivicballet.org/. December 13 – “Michael W. Smith” at the Newberry Opera House in Newberry. Spend an evening with this amazing Christian artist who will serenade you with his well knowns songs as well as many beautiful holiday tunes. For more information call (803) 276-6264 or visit https://www.newberryoperahouse.com/shows-and-events.html?show_name=michael-w-smith. December 13 – “Chamber Community Concert – Decoda with Claire Bryant” at the Fine Arts Center of Kershaw County in Camden. You’ll enjoy an evening filled with classical music! For more information call (803) 425-7676 or visit https://www.fineartscenter.org/event-calendar/. December 14 – “A Christmas Carol” at the Newberry Opera House in Newberry. Enjoy this Broadway-style holiday classic that is sure to make your holiday a little brighter! For more information call (803) 276-6264 or visit https://www.newberryoperahouse.com/shows-and-events.html?show_name=a-christmas-carol. December 14 – Tiny Tim’s Toy Shop at the Newberry Opera House in Newberry. Bring your kids 5 to 12 years old out for a fun experience creating ornaments and other projects while savoring tasty treats and beverages. For more information call (803) 276-6264 or visit https://www.newberryoperahouse.com/shows-and-events.html?show_name=tiny-tim-s-toy-shop. December 14 – 16 – Christmas Drive Thru: True Meaning of Christmas at Heights Church in Beech Island. This live nativity is free to view and will include hot chocolate, popcorn, and a movie while you wait. For more information call (803) 593-3054 or visit http://www.heightsweb.org/th_event/christmas-drive-thru/. December 15 – Falconry at the Adventure Center of the Anne Springs Close Greenway in Fort Mill. Master falconers Daren McGrew and Ted Bell will speak with the group about this ancient sport, the hard work and dedication involved in working with these amazing creature and you’ll have a chance to meet their raptors! For more information call (803) 547-4575 or visit https://www.ascgreenway.org/events/detail/greenway-speaker-series-falconry. December 15 – African Safari Day at the Museum of York County in Rock Hill. Take a non-traditional Safari by playing games, creating an African animal art, listening to a storyteller, and taking a tour down Elephant Hall. For more information call (803) 329-2121 or visit http://chmuseums.org/event/2503/. December 15 – “The Nutcracker” at the Wood Auditorium in Camden. Presented by The Dance Place, you’ll enjoy this fun holiday presentation with local performers! For more information call (803) 425-7676 or visit https://www.fineartscenter.org/event-calendar/. December 15 – 24 – Elgin Lights at 2433 Charlie Horse Circle in Elgin. This event that benefits Camp Chemo will be filled with lights, miniature trains, antique tractors and toys, and more! For more information call (803) 408-0131 or visit http://www.elginlights.com/Elgin_Lights_Christmas_Tractors_and_Trains/Welcome.html. December 15 – 26 – Christmas at Hopelands at Hopelands Gardens in Aiken. Enjoy these beautiful gardens filled with lights and s’more kits, hot chocolate, and cider available, and visit some of the other venues in the area decorated for the holidays and including Santa to include the Thoroughbred Racing Hall of Fame, The Rye Patch Stables, and the Doll House. For more information call (803) 642-7631 or visit https://www.visitaikensc.com/calendar/event/christmas_in_hopelands. December 16 – Christmas Concert at the Camden High School in Camden. This is the Camden Community Concert Band’s holiday performance so come out and enjoy the show! For more information call (803) 425-7676 or visit https://www.fineartscenter.org/event-calendar/. 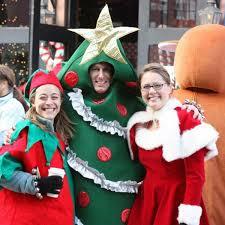 Through December 8 – Festival of Trees at Tabby Place in downtown Beaufort. You’ll enjoy viewing over 60 trees decorated in a variety of styles and designs with proceeds from the event benefiting Friends of Carolina Hospice patients and their families with a Gala on the 6th that will include music, spirits and food from several great local restaurants. For more information visit https://friendsofcarolinehospice.org/annual-festival-of-trees/. Through December 9 – “The Great American Trailer Park Musical” at The Shed – Event Venue in Port Royal. For more information visit https://www.coastalstageproductions.com/. Through December 16 – “School of Rock – The Musical” at the James F. Dean Community Theatre in Summerville. Presented by the Flowertown Players is prepared to show you just how wonderful rock and roll can be in this fun and energetic show! For more information call (843) 875-9251 or visit https://www.flowertownplayers.org/copy-of-the-crucible. December 5 – Annual King Street Antique Stroll at the Gibbes Museum of Art in Charleston. Visits with some of Charleston’s finest antique dealers and learn about the items on display from local curators and experts, with wine and cheese being offered along the way. For more information call (843) 722-2706 or visit http://www.gibbesmuseum.org/programs-events/annual-king-street-antique-stroll/89. December 6 – Holiday Hoedown at Wannamaker Park in North Charleston. Those with special needs and their families are invited out for a fun and unforgettable country style holiday event! For more information call (843) 795-4386 or visit https://www.ccprc.com/calendar.aspx?EID=10254. December 6 – 7 – “The Nutcracker” at the Sottile Theatre in Charleston. Here is yet another rendition of this amazing holiday classic presented by the Dance Conservatory of Charleston. For more information call (843) 607-6063 or visit http://widget.ebsmartsite.com/components/event_detail.aspx?EventID=1098537&WebLink=C.150F3641&xml_path=https://us2.eventbooking.com/. December 6 – 22 – Nights of a Thousand Candles at Brookgreen Gardens in Murrells Inlet. This incredible holiday event will include more than 4500 hand lit candles and tons of lights that will absolutely mesmerize you, with holiday music to serenade you throughout your visit. For more information call (843) 235-6000 or visit https://www.brookgreen.org/events/nights-thousand-candles-2018. December 7 – “Christmas with Kem” at the North Charleston Performing Arts Center in North Charleston. Enjoy some wonderful holiday music with this very talented singer! For more information call (843) 529-5000 or visit https://www.northcharlestoncoliseumpac.com/events/detail/christmas-with-kem. December 7 – Winter Wonderland Festival at the Shelter Cove Community Park on Hilton Head Island. Bring the kids out for a day filled with fun, to include hayrides, carnival games, a petting zoo, and of course, visits with Santa! For more information call (843) 681-7273 or visit http://www.sheltercovetownecentre.com/events/2018/11/19/holiday-lights-for-tis-the-season. December 7 – 9 – Disney’s “101 Dalmations, Kids” at the Florence Little Theatre in Florence. Kids in grades 2nd through 6th have been working hard to put on this show for you so be sure to bring the kids out and enjoy what is sure to be an entertaining show! For more information call (843) 662-3731 or visit http://www.florencelittletheatre.org/shows. December 7 – 22 – “The 1940’s Radio Hour” at the Footlight Theatre in Charleston. This fun production will take you back in time with lots of fun and hilarity that you’ll enjoy long after leaving the show. For more information call (843) 722-4487 or visit https://footlightplayers.net/events/1940sradiohour/. December 7 – 22 – Candlelight Tours at the Nathaniel Russell House in Charleston. Tour this fabulous 19th Century home decorated for the holidays and enjoy a glass of wine! For more information call (843) 724-8481 or visit www.christmasincharleston.org. December 7 – 22 – Florence Festival of Lights at Hoffmeyer Place in Florence. Take a ride through the more than 150 displays of lights, stop at Santa’s Village, and enjoy a hot beverage before you leave. For more information visit https://florencefestival.eventscff.org/. December 7 – 23 – Holiday Magic Show at the Threshold Repertory Theatre in Charleston. Singing illusionist Russell Anderson who has performed in Las Vegas, will give you a holiday show unlike any you’ve ever seen before. For more information call (843) 277-2172 or visit https://charleston.citymomsblog.com/event/holiday-magic-show-at-threshold-repertory-theatre/. December 8 – Shuckin’ On The Cooper at the Mount Pleasant Pier in Mount Pleasant. Here is a chance to enjoy eating tasty steamed oysters while enjoying the Holiday Boat Parade, as well as music by Joshua Jarman. For more information call (843) 795-4386 or visit https://www.ccprc.com/3260/Shuckin-on-the-Cooper. December 8 – “Moscow Ballet’s Great Russian Nutcracker” at the North Charleston Performing Arts Center in North Charleston. This is a version of the Nutcracker that won’t be like any other you’ve ever seen, so don’t miss the chance to see this incredible show! For more information call (843) 529-5000 or visit https://www.northcharlestoncoliseumpac.com/events/detail/moscow-ballets-great-russian-nutcracker-3. December 8 – “Jazz at Lincoln Center Orchestra with Wynton Marsalis Big Band Holidays” at the Gaillard Center in Charleston. Enjoy this great show that will be filled with “soulful renditions” of your favorite holiday classics! For more information call (843) 242-3099 or visit https://gaillardcenter.org/event/jazz-lincoln-center-orchestra-wynton-marsalis-big-band-holidays/. December 8 – Holiday Parade of Boats at the Charleston Maritime Center in Charleston. Viewing the wonderfully decorated boats on the water under the stars is magical and great fun, so don’t miss the chance to experience this event! For more information send an email to smorckel@gmail.com or visit http://www.charlestonparadeofboats.com/. December 8 – Edisto Christmas Parade at The Pavilion at Edisto Beach. Spend your weekend at the beach and enjoy the chance to see the holiday parade to boost your holiday spirit! For more information call (843) 869-3867 or visit http://www.edistochamber.com/. December 8 – Holiday Shopping Spectacular at the Peanut Warehouse in Conway. You’ll enjoy visiting with over 30 crafters and artisans to work on completing your holiday shopping list. For more information call (843) 222-8193 or visit https://www.facebook.com/events/398631867241069/. December 8 – Holiday Market and Craft Show at the Mount Pleasant Farmers Market Pavilion in Mount Pleasant. This fun event will include the normal farmers market fare of fresh produce, freshly baked items, hot foods, and other handmade edibles, but will also include a wonderful variety of crafters and artisans with all of the vendors providing you with a tremendous variety of items to choose from for your holiday festivities and gift giving with live entertainment and children’s activities included. For more information send an email to farmersmarket@tompsc.com or visit https://experiencemountpleasant.com/events/holiday-farmers-market/. December 8 – Reindeer Run in downtown Charleston. This family oriented and pet friendly event will take you on a 5K run and/or walk through the lower end of downtown Charleston with proceeds to benefit the new addition to the MUSC Children’s Hospital and the Charitable Society of Charleston’s endowment. For more information send an email to racedirector@reindeerrun.com or visit https://www.reindeerrun.org/. December 8 – 15 – “Junie B. and Jingle Bells Batman Smells” at the Dock Street Theatre in Charleston. This is the story about Junie B. and her excitement over the holidays, only to have it tainted by her school nemesis, who then becomes her “Secret Santa”, but will the holiday spirit of peace and goodwill interfere with her attempt at revenge? For more information call (843) 577-5967 or visit https://charlestonstage.com/shows-and-tickets/the-shows/59-junie-b-in-jingle-bells-batman-smells.html. December 8 – 22 – Mingle with Kringle at James Island County Park in Charleston. Here is a chance to schedule your one on one visit with Santa for that personal individual or group photograph before the masses arrive to tour the Park. For more information call (843) 795-4386 or visit https://www.ccprc.com/calendar.aspx?CID=97. December 8 – 23 – “The Charleston Christmas Special” at the Charleston Music Hall in Charleston. Produced by Brad and Jennifer Moranz you’ll enjoy this holiday themed production filled with musical performances and comedy sketches. For more information call (843) 853-2252 or visit https://www.charlestonmusichall.com/event/1605372-charleston-christmas-special-charleston/. December 9 – Chanukah in the Square at Marion Square in Charleston. Known as the largest Jewish event in the State, so whether you are Jewish or not come on out, with local Holocaust survivors lighting the Menorah, traditional foods available, live music, and dancing so bring the kids out for an evening of fun and cultural education! For more information call (843) 953-5682 or visit https://www.facebook.com/CITSCHS/. December 9 – “Chris Tomlin Christmas: Christmas Songs of Worship” at the Gaillard Center in Charleston. Enjoy an evening filled with beautiful holiday worship songs by this amazingly talented artist! For more information call (843) 242-3099 or visit https://gaillardcenter.org/event/chris-tomlin-christmas-songs-of-worship/. December 9 – Christmas Lights Parade on Coleman Boulevard in Mount Pleasant. You’ll enjoy the lighting of the tree, see over 100 holiday floats, bands, and more, followed by a fabulous fireworks display! For more information call (843) 849-2778 or visit https://experiencemountpleasant.com/events/christmas-light-parade/. December 9 – Christmas at the Sottile at the Sottile Theatre in Charleston. The Charleston Men’s Chorus will serenade you with wonderful holiday classics as well as sacred holiday songs. The Lowcountry Community Concert Band is prepared to present a wonderful show filled with many of your favorite holiday tunes! For more information call (843) 790-3168 or visit https://charlestonmenschorus.org/performances/13-2/christmas-at-the-sottile-2/. December 11 – “Swingin’ Christmas with Tony DeSare” at the Gaillard Center in Charleston. This extremely talented vocalist and pianist is joining the Charleston Symphony Orchestra for what is sure to be one amazing holiday show! For more information call (843) 242-3099 or visit https://gaillardcenter.org/event/swingin-christmas-with-tony-desare/. December 11 – “The Nutcracker” at the Francis Marion University Performing Arts Center in Florence. Presented by the Columbia City Ballet, spend an evening enjoying this favorite holiday classic! For more information call (803) 799-7605. December 11 – 12 – Rogers and Hammerstein’s: “The King and I” at the North Charleston Performing Arts Center in North Charleston. Based on the Tony Award winning Broadway musical you will certainly enjoy this incredibly wonderful story! For more information call (843) 529-5000 or visit https://www.northcharlestoncoliseumpac.com/events/detail/the-king-i. December 14 – “Newsboys” at the North Charleston Performing Arts Center in North Charleston. Spend an evening enjoying this tremendous Christian group that will provide you with inspirational music just in time for the Christmas season! For more information call (843) 529-5000 or visit https://www.northcharlestoncoliseumpac.com/events/detail/newsboys-1. December 14 – Seacoast Christmas Collective Live at the Gaillard Center in Charleston. You’ll enjoy an evening of Christmas music and worship featuring Robbie Madison and special guests, Kidscoast Worship. For more information call (843) 724-5212 or visit https://gaillardcenter.org/event/seacoast-christmas-collective-live/. December 14 – “The Nutcracker” at the Center Theatre in Hartsville. Presented by the Columbia City Ballet, you’ll enjoy an evening filled with beautiful dancing in this favorite holiday classic! For more information call (843) 799-7605 or visit http://columbiacityballet.com/production/nutcracker/. December 14 – 16 – “Grease: School Edition” at the Florence Little Theatre in Florence. The kids have been working hard on this production so come out for what is sure to be a fun, toe tapping great show! For more information call (843) 662-3731 or visit http://www.florencelittletheatre.org/shows. December 14 – 16 – “The Nutcracker” at the Sottile Theatre in Charleston. The College of Charleston is prepared again this year to provide you with an incredible holiday production of this holiday classic ballet! For more information call (843) 805-5507 or visit http://widget.ebsmartsite.com/components/event_detail.aspx?EventID=917866&WebLink=C.150F3641&xml_path=https://us2.eventbooking.com/. December 14 – 30 – The Sound of Christmas at the Circular Congregational Church in Charleston. From the oldest active church in Charleston, founded in 1681, you’ll enjoy a variety of holiday hymns that span generations and cultures. For more information call (843) 270-4903 or visit http://soundofcharleston.com/. December 15 – “Rocking Around the Christmas Tree with Darci Lynne” at the North Charleston Performing Arts Center in North Charleston. This incredible singer/ventriloquist that won America’s Got Talent will most certainly provide you with a show you won’t soon forget! For more information call (843) 529-5000 or visit https://www.northcharlestoncoliseumpac.com/events/detail/rocking-around-the-christmas-tree-with-darci-lynne. December 15 – Teddy Tea with Santa at the Morris Center for Lowcountry Heritage in Ridgeland. This event with author Kim Poovey will allow children to bring their favorite stuffed animal, enjoy tea or hot chocolate and cookies and visit with Santa. For more information call (843) 284-9227 or visit http://www.morrisheritagecenter.org/events/. December 15 – Marsh Walk and Santa Crawl at the Murrels Inlet Marshwalk in Murrells Inlet. Spend your evening with some holiday fun and enjoy specialty drinks, dinner specials, and a festive attire contest with prizes, so bring the family out for a chance to create some holiday memories! For more information call (843) 497-3450 or visit http://marshwalk.com/calendar/santa-crawl/. December 15 – Christmas with The Embers the Marlboro Civic Center in Bennettsville. Enjoy some of the new and old holiday tunes with this legendary beech music group! For more information call (843) 535-8184 or visit https://z-m-www.facebook.com/events/258596928339856/. December 16 – “The Beach Boys: Reason for the Season Tour” at the North Charleston Performing Arts Center in North Charleston. What better way to celebrate the holiday season than with the Beach Boys! For more information call (843) 529-5000 or visit https://www.northcharlestoncoliseumpac.com/events/detail/the-beach-boys-reason-for-the-season-christmas-tour. December 17 – The Charleston School of the Arts Symphony and Singers Present Holiday Spectacular at the Gaillard Center in Charleston. This award winning group is prepared to provide a holiday show that your entire family will enjoy! For more information call (843) 724-5212 or visit https://gaillardcenter.org/event/the-charleston-school-of-the-arts-symphony-and-singers-present-holiday-spectacular/.